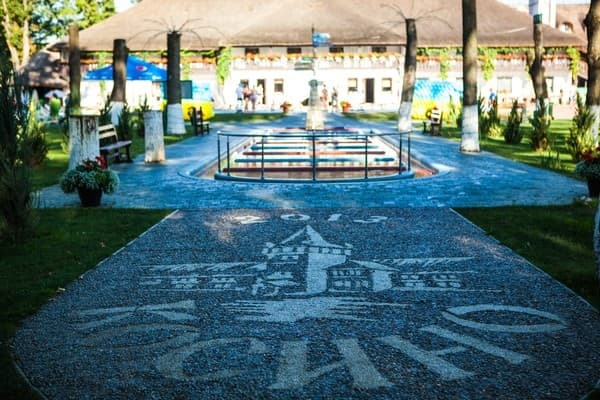 "Iváncsó Birtok" is a resort and refined hotel located in the territory of the thermal and recreational complex "Thermal Waters" Kosino. The hotel offers health-improving swimming in 5 open-air thermal and 2 fresh pools, relaxation-relaxation in the Royal saunas and meals at the restaurant "Charda". Rooms at the hotel are equipped with flat-screen TVs with satellite channels. 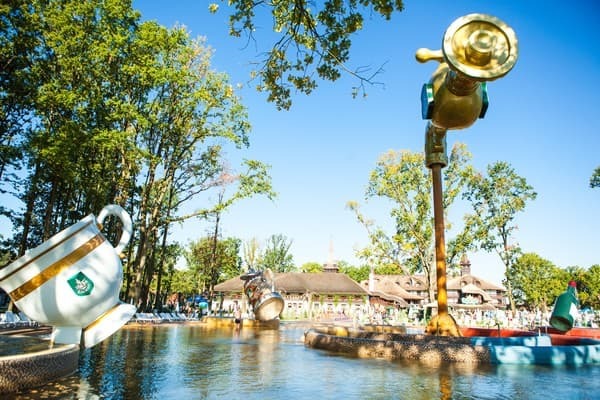 Guests are provided with bathrobes, slippers, towels and toiletries. On the territory of "Iváncsó Birtok" there is a 24-hour front desk, ATM and gift shop and free parking. Free Wi-Fi is available throughout the complex. 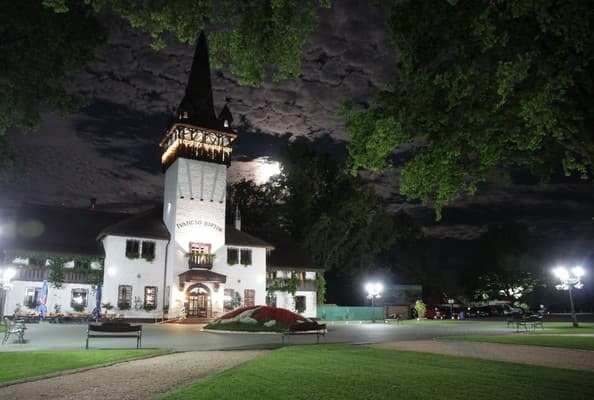 The hotel is located in the village of Koson in the Transcarpathian region, 22 km from the town of Berehove and 42 km from the town of Mukachevo. 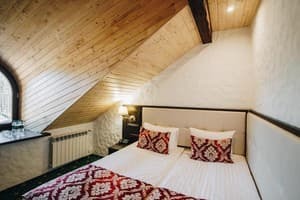 Описание номера: Cozy double attic room. In addition, 1% of the tourist fee is paid. The price includes breakfast, lunch and dinner (buffet), swimming in the thermal pools from 06.00 to 24.00, visiting the Royal Saunas from 09.00 to 20.00. There is a free extra bed for a child up to 12 years old. 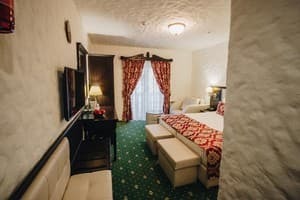 Описание номера: Compact double room in a classic style. In addition, 1% of the tourist fee is paid. The price includes breakfast, lunch and dinner (buffet), swimming in the thermal pools from 06.00 to 24.00, visiting the Royal Saunas from 09.00 to 20.00. There is a free extra bed for a child up to 12 years old. 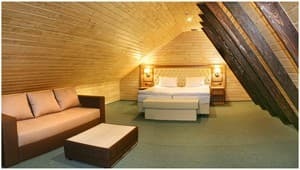 Описание номера: Two-storey room with an attic. In addition, 1% of the tourist fee is paid. The price includes breakfast, lunch and dinner (buffet), swimming in the thermal pools from 06.00 to 24.00, visiting the Royal Saunas from 09.00 to 20.00. There is a free extra bed for a child up to 12 years old. 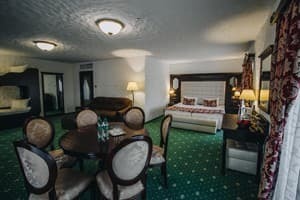 Description of the room: Spacious elegant room of the "luxury" category. In addition, 1% of the tourist fee is paid. The price includes breakfast, lunch and dinner (buffet), swimming in the thermal pools from 06.00 to 24.00, visiting the Royal Saunas from 09.00 to 20.00. There are two free extra beds for children up to 12 years. Описание номера: Spacious two-storey suite with a guest area and a balcony. In addition, 1% of the tourist fee is paid. The price includes breakfast, lunch and dinner (buffet), swimming in the thermal pools from 06.00 to 24.00, visiting the Royal Saunas from 09.00 to 20.00. Perhaps three free extra beds for children under 12 years old. Children under 12 years stay free in a room. Accommodation and meals (half board) Children under 12 years are included in the room rate. The complex has a restaurant "Tavern", pizzeria, lobby bar, hookah bar, aqua-bar. 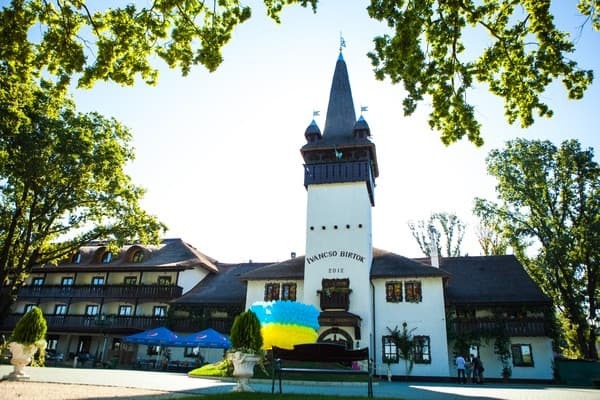 Hotel "Iváncsó Birtok" in the health and recreation complex "Thermal waters" Kosino "in the village of Koson Transcarpathian region, 22 km - from Beregovo, 42 km from the town of Mukachevo, at a distance of 63 km from Uzhgorod. Recreational and recreational complex "Thermal waters" Kosino "is located on the trail of the location of unique mineral thermal waters. 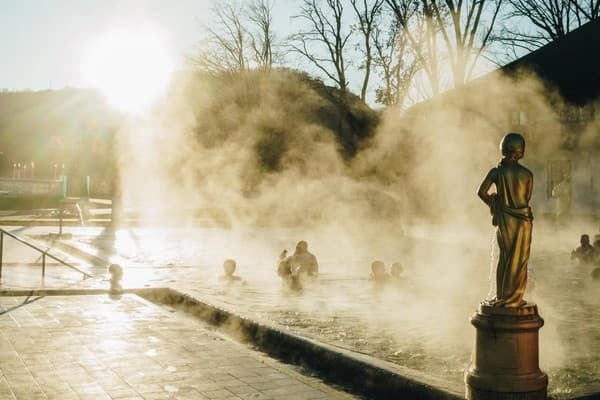 The curative water of the Kosinsky spring rises to the thermal pools from a depth of 1190 m with a temperature of 40-45 ° C. The thermal waters have a general health-improving effect for the body, filling it with the necessary substances and microelements. The waters of the Kosinsky deposit are shown for external use in diseases of the musculoskeletal system, cardiovascular, nervous and biliary systems. With Mukachevo to Yanoshi taxi or bus Mukachevo-Beregovo. By car: the highway Kyiv-Lviv-Chop (E-50 / M-06), after Mukacheve turn to Berehove before Berehovo in with. Yanoshi turn the signs to the "Thermal waters" Koshino.